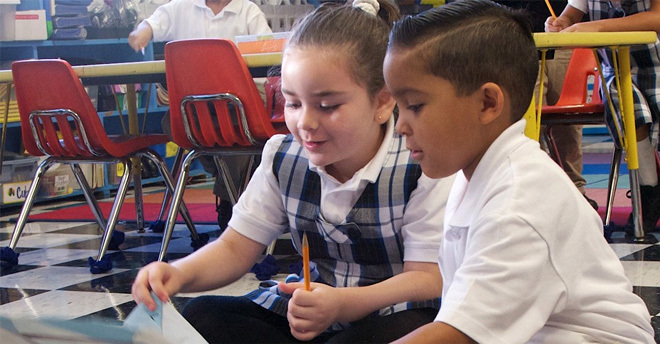 At St. James School , your student will engage with challenging curriculum and inspired teachers who deliver differentiated instruction plans tailored to the needs and character of their class. Teachers strive to blend innovative, technology-based learning strategies with traditional teaching methods to produce an integrated, comprehensive educational environment that stimulates creative & critical thinking skills. Students are encouraged to assess and analyze instructional materials presented to them in the classroom and to make “real-world” connections to the world around them.